The best cajun butter shrimp recipe is bursting with flavor and so easy to make – from fridge to fork in under 15 minutes. This cajun shrimp is delicious and so easy – slightly spicy, slightly smoky, and bursting with flavor! 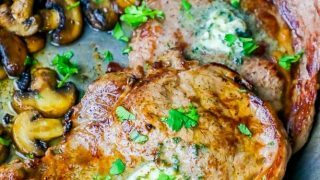 This recipe is naturally keto and low carb, as well as low calorie. 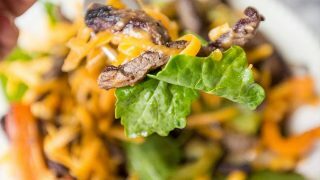 It works in a wide variety of dishes – from salads and wraps to sandwiches, over steaks, and more! 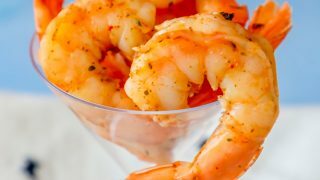 Just Take Me To The Best Cajun Butter Shrimp Recipe Already! 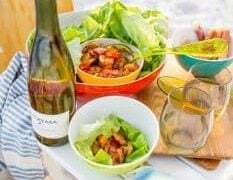 I get lots of questions on my posts and recipes, so I try to put as much information in them as possible for my readers. 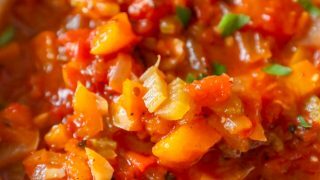 If you’d rather skip over my helpful tips and tricks, you can find the recipe at the bottom of the page, just above the comments. 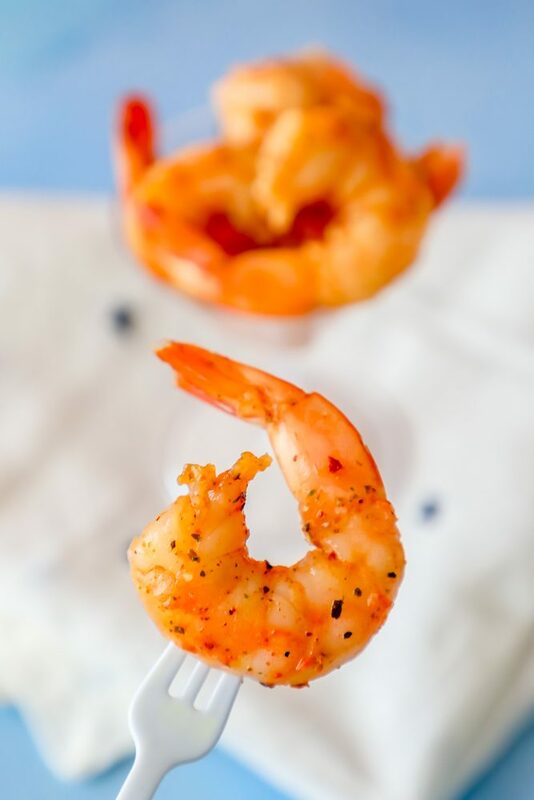 If you’ve steered clear from cooking shrimp in the past because of a fishy flavor, I have the best tips to help cut down on any fishy taste for delicious fresh shrimp every time you make them! Many people are afraid of not cooking shrimp enough – and accidentally overcook in the process. 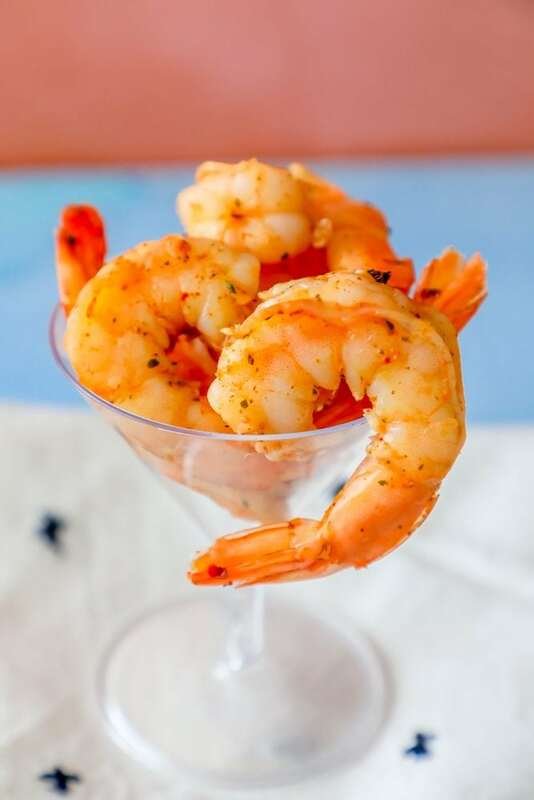 Shrimp is a light and delicate seafood – and tastes the most fresh when just cooked through – but as shrimp overcooks, a fishy taste develops and the shrimp becomes more gummy and tough to chew. For the best flavor, cook shrimp to just opaque – bright white and pink- and no longer. Shrimp that has been pre-cooked is already at the perfect texture – and cooking it longer will only give a stronger fishy flavor. Fresh-frozen, or fresh caught – use shrimp that smells clean (shrimp should smell slightly sweet, not fishy, when fresh.) 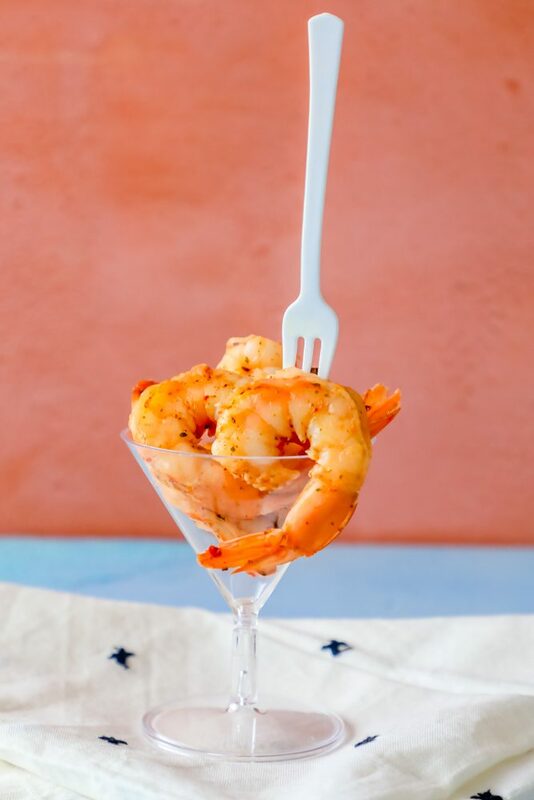 Frozen shrimp is fine (and sometimes more fresh than fresh caught for landlocked places like where I live in northern Colorado) – just let shrimp thaw naturally overnight in a freezer, rinse, peel, and cook! 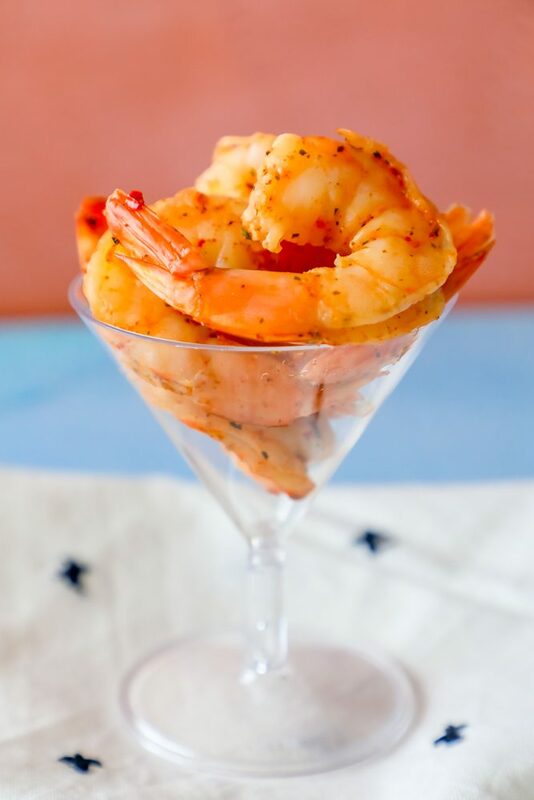 Cajun shrimp starts off with a crucial ingredient – cajun seasoning! If you don’t have a cajun seasoning you love – or would like to make your own – I am providing a recipe for the best cajun seasoning. This cajun seasoning is great on chicken, fish, shellfish, beef, pork – and even vegetables! 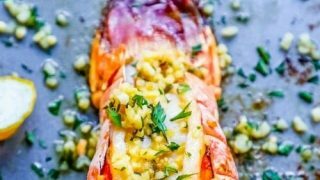 This cajun butter shrimp is fabulous in fajitas, tacos, salads, and more – but it also goes great with cauliflower rice, creamy alfredo pasta, or on top of a steak, or alongside lobster tails! 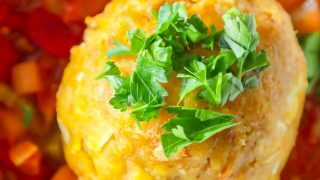 The Best Easy Mofongo recipe - delicious lightly fried plantains mashed with garlic, pork rinds, bacon, and made into dumplings for a deliciously easy Puerto Rican dish everyone loves! 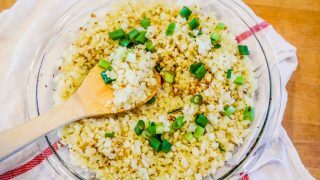 The Best Ever Cauliflower Rice - delicious easy low carb rice that tastes buttery and rich with very few calories! 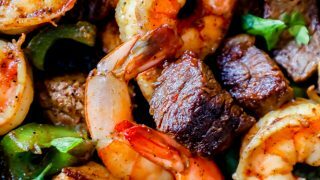 One Pot cajun butter steak and shrimp skillet recipe - tender juicy steak bites with spicy shrimp and chunks of bell pepper in a delicious cajun butter sauce. 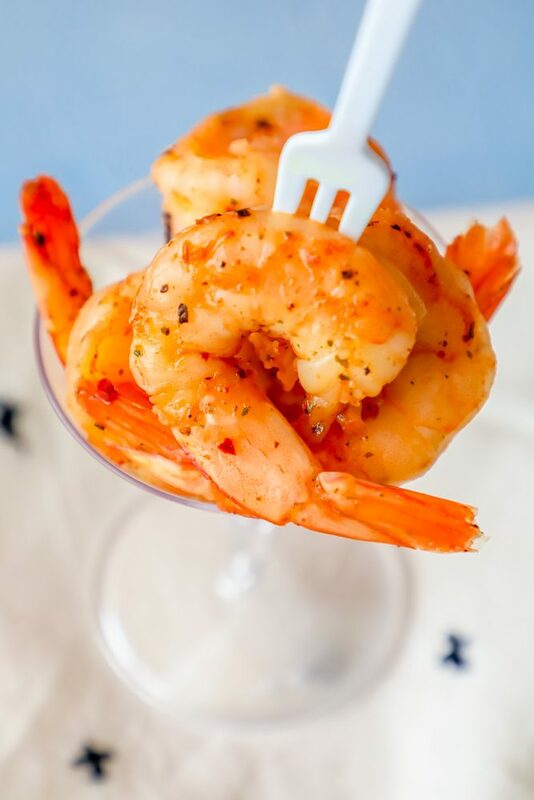 If you love this easy cajun butter shrimp recipe as much as I do, please give it a five star review (just click the stars) and help me share on facebook and pinterest! The best cajun butter shrimp recipe is bursting with flavor and so easy to make - from fridge to fork in under 15 minutes. In a small bowl, mix cajun seasoning and funnel all but two tablespoons into a jar for use later. Add shrimp to plastic bag or bowl and toss in 2 tablespoons cajun seasoning. Melt butter in pan until light and foamy. Add shrimp to pan and cook on medium high until opaque - bright pink and white. Do not over cook shrimp, cook until just no longer grey. Love the flavors in the seasoning! So so delicious! Love Cajun flavors and shrimp together! Such a tasty meal. I will need to make some of this & keep on hand! Sounds delicious! It would taste great on so many things! Thanks for sharing! Oh I love this homemade seasoning! I am going to double the portion for future use. So good! I love cajun shrimp, can’t wait to make this recipe at home.